The Dublin light rail network at the opening of the Cross City Line (extension of the Green Line to Broombridge). The route designations G and R for the Green and Red Lines, respectively, are for the reader's convenience only and are not used by the operator. 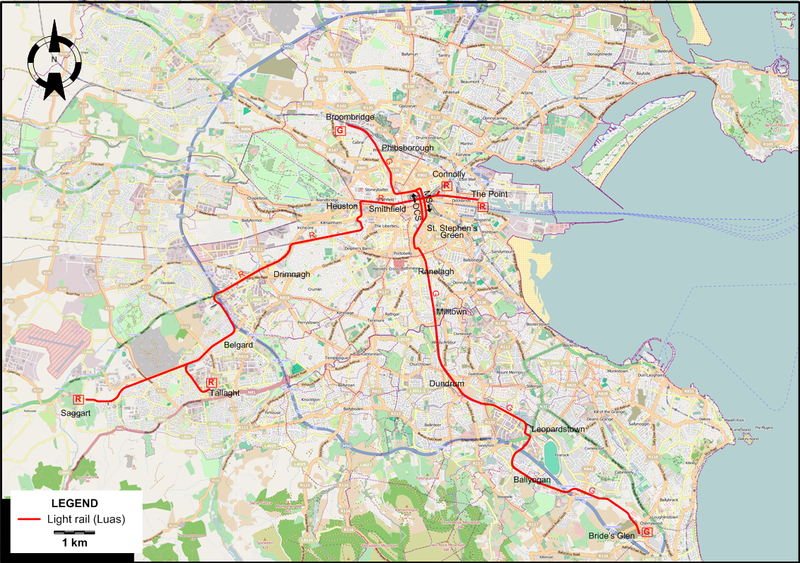 Light rail (Luas): 42.1 km. Steam tramways: June 1881 - 1905. First-generation electric tramway: 16 May 1896 - 9 July 1949. 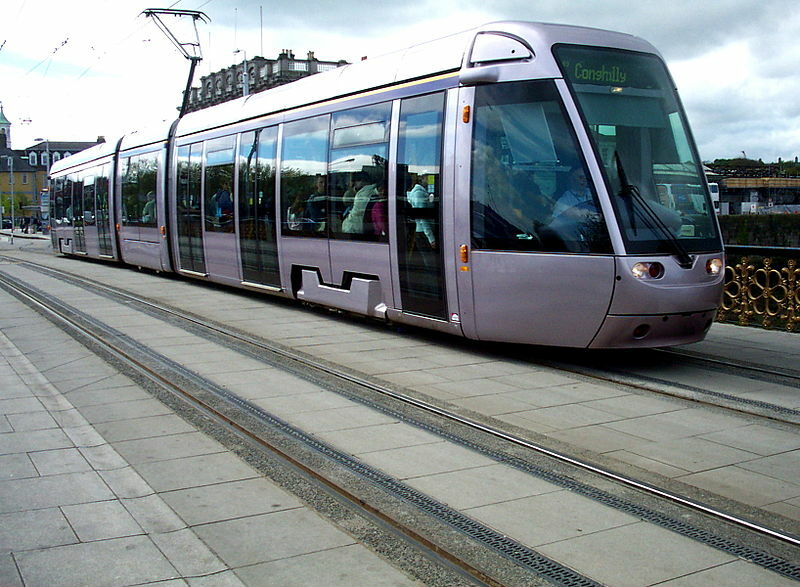 Second-generation light rail (Luas): 30 June 2004 - today. Hill of Howth Tramway: 7 June 1901 - 31 May 1959. Horse tramways: 1220 mm / 1600 mm. Steam tramways: 915 mm / 1067 mm. / 1580 mm. 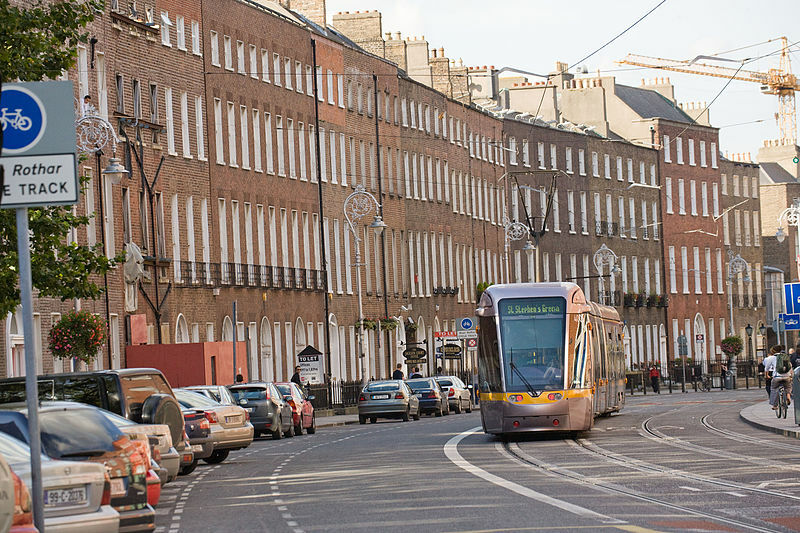 Dublin tramways (1st generation): 1580 mm. 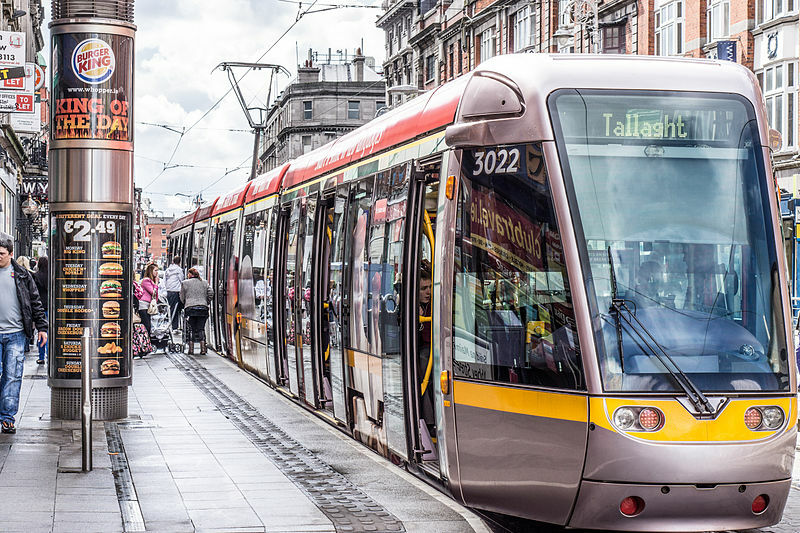 Dublin light rail (Luas): 1435 mm. Hill of Howth Tramway: 1580 mm. Corcoran, M. Through the streets broad and narrow: A history of Dublin trams. Hersham (England): Ian Allan, 2000, rev.ed. 2008. Fayle, H. "The electric tramways of Ireland (4): The Dublin tramways" The Modern Tramway, Nov. 1940 (3: 35), p.129-130, 132.